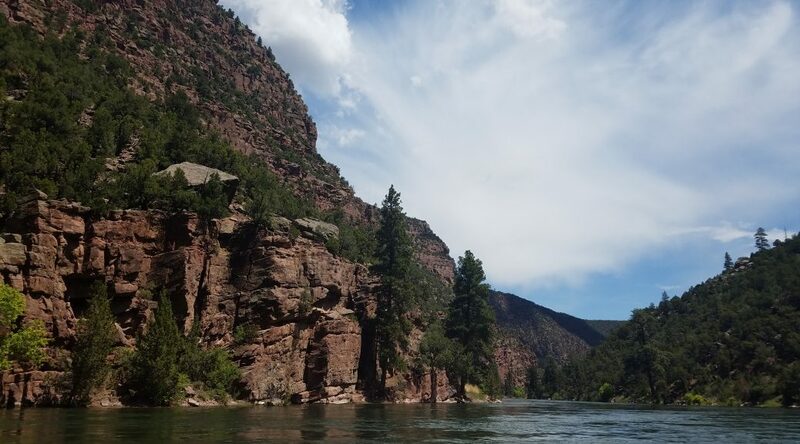 Flows are still high on the Green River below Flaming Gorge Dam at 8600 CFS. Pat and Ralph Wood came out from California for a trip on the green with guide Nick Jackson and had a great time. 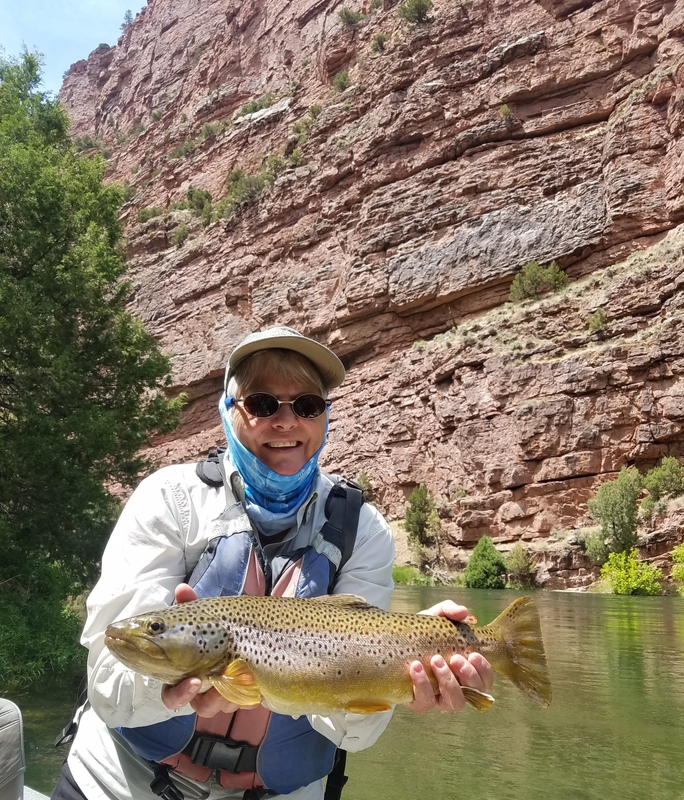 Pat landed this fat Brown on the A section, nice job! Cicadas are out and about. 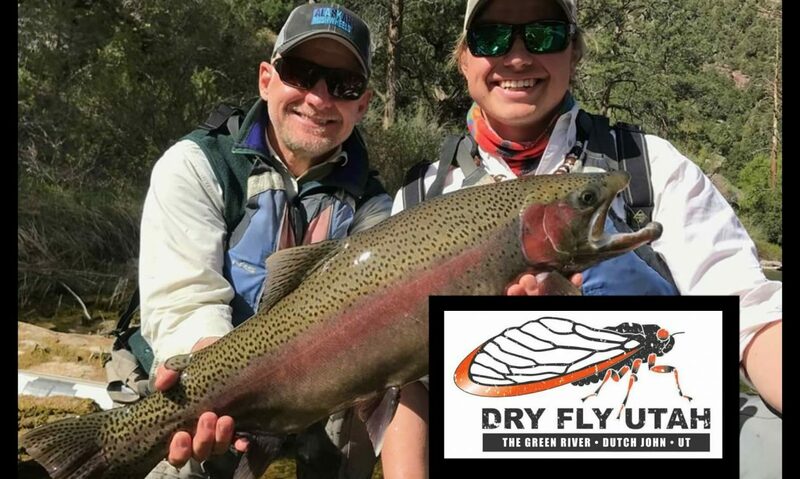 Try a small nymph for the river.